The day after the national March For Our Lives, Wisconsin high schoolers began a 50-mile trek to U.S. House Speaker Paul Ryan’s hometown. They’re sending a message that the fight for gun control didn’t end on Saturday. ” This is just the beginning,” the March For Our Lives: 50 Miles More website reads. About 50 students from across the state kicked off a four-day march on Sunday morning, leaving Madison and heading for Janesville. The teenagers will walk 13 miles a day and sleep in local high schools along the route before reaching Janesville’s Traxler Park on March 28. Eder is a senior at Shorewood High School in a suburb of Milwaukee. 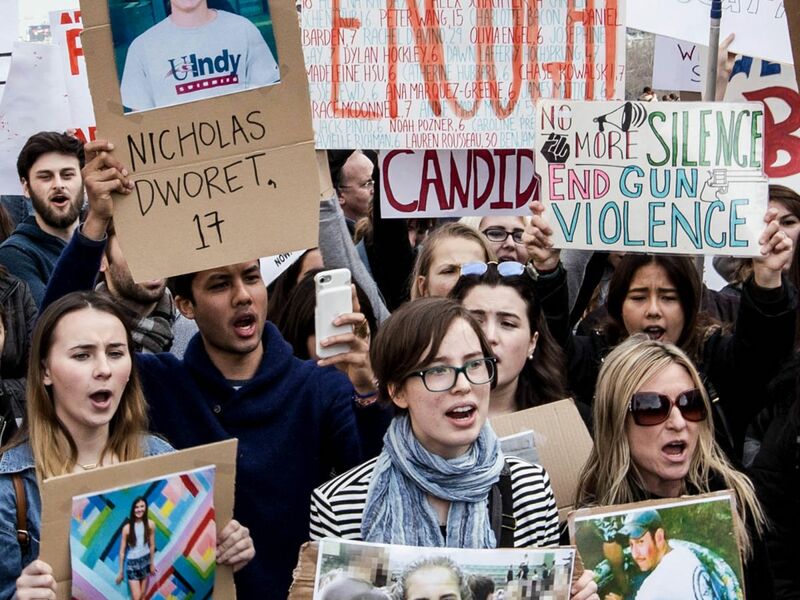 Although the March For Our Lives was a response to the Valentine’s Day shooting at Marjory Stoneman Douglas High School in Parkland, FL, gun control activists of all ages joined rallies across the country. A March For Our Lives petition called for a national ban on military-style assault weapons like the one used in the February school shooting, a ban on high-capacity magazines, and universal background checks. Ryan, who received nearly $172,000 from gun rights groups during the 2016 election, didn’t acknowledge the March For Our Lives on Saturday, nor the 50 Miles More march on Sunday. As Fardella pointed out, the Wisconsin high schoolers marching to Janesville will work to boot him from office if he doesn’t take action on gun control. More than 400 people marched to Ryan’s Janesville office on Saturday demanding gun reform, the local GazetteXtra reports. But the 50 Miles More marchers plan to keep putting pressure on their representative.